GROW YOUR CAREER AT WILDLANDS ENGINEERING! We are always interested in hiring great people to join our team. If you are seeking a position that is not advertised below and would like to be considered for future positions, please send us your cover letter and resume. We look forward to connecting with people that are passionate about environmental restoration, water resources engineering, or environmental science. Wildlands Engineering, Inc. is seeking a motivated individual to join our growing team in our Charlotte, NC office. In this role, an individual will work with Wildlands’ Mitigation Development and Credit Sales team and Wildlands’ General Counsel to assist with real estate closings on land and conservation easements to facilitate Wildlands’ stream and wetlands mitigation projects. Candidates should have 5+ years of experience in real estate preferably as a real estate broker, a broker’s assistant, or paralegal. Responsibilities will include coordinating and scheduling 20+ closings per year on over $40M of land or conservation easements across NC, SC, VA, and MD. In addition to general real estate experience, preferred skills include: researching title history including running in and out conveyances and reviewing title opinions and title insurance exceptions; understanding boundary surveys and legal descriptions; researching utility right of ways; clearing title objections; and preparing general real estate documents. Understanding of the Environmental Compensatory Mitigation industry a plus, but not required. Proficiency in Microsoft Office (Word, Excel, Outlook) is required. The job is part time (15-20 hours per week) and considered hourly “non-exempt.” As the company continues to grow, it is likely (but not guaranteed) that the position can become full time and receive Wildlands’ industry leading full benefits package. No travel is expected. Please submit resume and a cover letter by APRIL 26, 2019 to resumes@wildlandseng.com and include “Real Estate Closing Manager” in the subject line of the email. The cover letter should identify your background and experience, why you are interested in this position, your approximate available start date, and any other information that you feel is important. Please be prepared to provide reference contact information, if requested. Wildlands Engineering, Inc. is seeking a motivated individual to join the growing team in our Charlotte, NC office. We are looking for an individual to help develop, coordinate, and implement land management activities for a variety of stream, wetland, and buffer restoration sites. Land management activities involve the ongoing maintenance and upkeep of project sites necessary to support project success and ecological health. 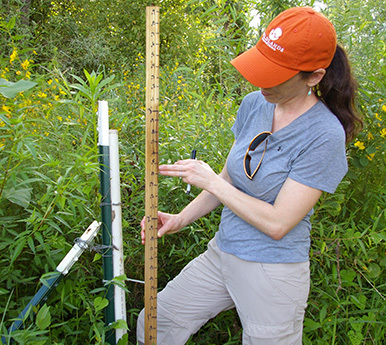 This work includes invasive species management, supplemental planting and seeding, erosion management, maintenance of easement boundary infrastructure, property owner coordination, and wildlife management. This position will be responsible for identifying issues on sites, developing management activities, and driving implementation. The Adaptive Management Specialist’s role will involve both hands-on work and coordination with sub-contractors. 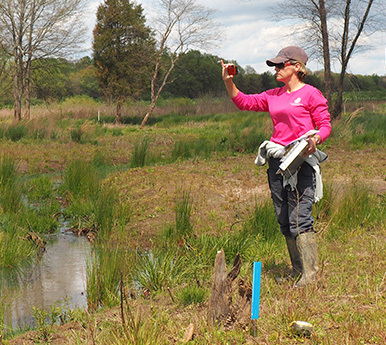 The successful candidate should have at least 2-3 years of experience related to the job duties and understand the ecological processes important to riparian restoration in the Southeastern United States. 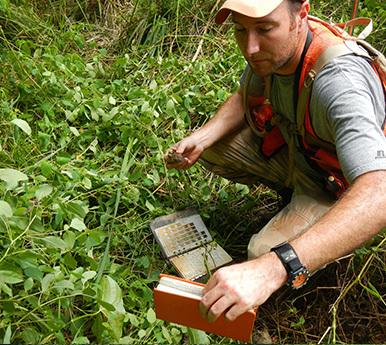 Specific knowledge of invasive plant management and stream restoration practices is preferred. Ability to deal with long, hard field days is necessary along with some overnight travel. Proficiency in GIS, field monitoring practices, plant ID, technical writing, and interfacing with permitting agencies and landowners is additionally preferred. Please submit resume and a cover letter by APRIL 19, 2019 to resumes@wildlandseng.com and include “Land Management” in the subject line of the email. The cover letter should identify your area of study, any relevant software or previous work experience, why you are interested in this position, your approximate available start date, and any other information that you feel is important. Please be prepared to provide contact information for at least two references, if requested. Wildlands Engineering is seeking a dynamic individual to join our growing company in our Fairfax, Virginia office. We are looking for an entry-level water resources engineer with a background in stream and wetland systems, stormwater management, and hydrologic/hydraulic modeling. This position will support our project teams with design of complex ecosystem restoration designs, field assessments, hydrologic and hydraulic modeling, and stormwater management. The ideal candidate will have 0 to 2 years of water resources experience and should understand the ecologic and hydrologic processes important to water resources engineering and ecosystem restoration in the southeastern United States. Experience with surveying equipment, AutoCAD Civil 3D/Land Desktop, ArcGIS, report writing, and hydraulic and hydrologic modeling is expected. A graduate degree in a related field and/or professional licensure as an Engineering Intern is preferred. This position will require occasional overnight travel and frequent outdoor field work. Please submit resume and a cover letter to resumes@wildlandseng.com. A cover letter is required and should identify your area of study, relevant previous work experience, why you are interested in this position, the office location(s) preferred, your approximate available start date, and any other information that you feel is important. Please be prepared to provide contact information for two references, if requested. Wildlands Engineering is continuously on the lookout for dynamic individuals to join our growing company. We are looking for a water resources engineer or scientist with a background in stream and wetland design, stormwater management, hydrologic/hydraulic modeling, construction document production, and construction management. 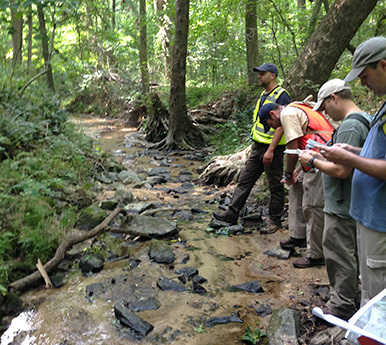 This position works with project managers to assist with complex ecosystem restoration designs; conduct field assessment and design of streams, wetlands, and watersheds; develop hydrologic and hydraulic models; and assess and design new and retrofit stormwater best management practices (BMPs). The ideal candidate will demonstrate 2 to 15 years’ progressive experience working with the ecologic and hydrologic processes important to ecosystem restoration in the Southeastern United States. A graduate degree in a related field is preferred. Experience with AutoCAD Civil 3D/Land Desktop, hydraulic and hydrologic modeling, preparation of technical reports, construction plans and technical specifications, cost estimation, and construction administration is preferred. This position will require occasional overnight travel and frequent outdoor field work.